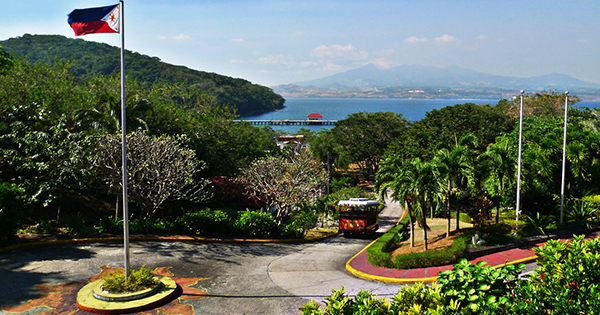 As a very important historical landmark in the Philippines, Corregidor Island, which is located at the entrance of Manila Bay in southwestern Luzon, was one of the battlegrounds used during World War II, when the American and Filipino soldiers fought for the nation’s liberation from Japanese occupation, until the Republic of the Philippines got established in 1946. #1 - Pacific War Memorial: completed in 1968, which cost the United States government $3,000,000 – Pacific War Memorial can be found in the highest part of the Topside of Corregidor Island. This place also has an altar and 40 feet steel structure called, “Eternal Flame of Freedom” – all symbolizing the bravery of American and Filipino soldiers who served and lost their lives in a battle for liberty. #2 - Malinta Tunnel: the United States re-took Corregidor Island by blocking the entrance of Malinta Tunnel with gunfire, thus causing the Japanese forces who got trapped inside it to detonate bombs causing the latter’s very lives. Today, this tunnel is the venue for an audio-visual presentation by National Artist, Lamberto V. Avellana – that shows the events which occurred in the country during World War II. #3 - Filipino Heroes Memorial: this is one of the latest additions to Corregidor which got established in 1992 during the regime of President Fidel V. Ramos. Its size is a whopping 6,000 square meters and showcases 14 murals or wall paintings that display the Filipinos’ heroic battles from the 15th century up to these modern times. This amazing complex was designed by no less than Francisco Mañosa, whereas the murals and statue of a Filipino guerilla were the products of Manuel Casas’ genius. #4 - Japanese Garden of Peace: was built in memory of all the Japanese soldiers who served and fought on Corregidor Island. This place has a prayer area, shrines, markers and a pavilion with photos and relics of the past. #5 - Corregidor Lighthouse: this was first lit in 1853 and is considered as one of the oldest beacons in Corregidor. It was damaged during the siege of the island in World War II, but was later on restored in the 1950s and just recently, its lantern runs on solar power as improved by the Philippine Coast Guard.